Spanish president Pedro Sánchez reveals he has been working since November on contingency plans for four key areas in case of a ‘hard Brexit’, in which the UK leaves the European Union without a deal on March 29 this year. Now the issue of Gibraltar has been largely agreed and no additional border controls will apply for those living in Spain and working in the British enclave, Sánchez is focusing on people, trade, economy and transport. 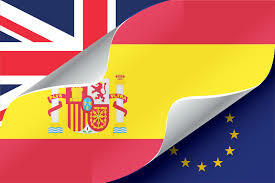 British expats living in Spain have been worried about their future since the morning of June 24, 2016 when the referendum results were announced, but Sánchez has them uppermost in his mind – an estimated 750,000 UK nationals live in Spain, his government says, and in the event of a no-deal Brexit, the president is ready to pass a law immediately to prevent them becoming ‘illegal immigrants’ and to continue to be able to access the national health service, pensions, State benefits such as dole money, and to live and work. Where this leaves holiday home owners, present and future, who are not full-time residents in Spain, is not clear, but Sánchez intends to allow Brits to travel freely between the UK and Spain without a visa, and will authorise flights between the two countries straight away, meaning expats will still be able to return for trips to see their families and UK residents will not be cut off from their homes in the sun. Given that foreign buyers, of whom Brits make up a significant number, are helping the housing market to recover – and boost the economy by spending in Spain on their holidays – it seems likely Sánchez will ensure no extra hurdles apply to purchasing homes on Spanish territory, or for those who already own second properties to live in them permanently in the future when they retire. British residents in Spain remain sceptical and say they will not believe anything until they see it in black and white, but are quietly confident Sánchez’s government will support them as promised. Spaniards living in the UK have criticised the government in their native country for not giving them ‘any type of information’ – they say the British authorities have been ‘drip-feeding’ them ‘vague’ details, but that even this is ‘better than nothing’. Hearing their collective cry for help, Sánchez has announced he will be thrashing out the details of how to protect the 200,000-plus Spaniards living in the UK at a meeting today (Friday) with foreign affairs minister Josep Borrell – although this issue could be more difficult for Spain to give guarantees on, given that these residents are in the hands of British immigration policies, unlike UK-born expats in Spain to whom national policy, which Sánchez is able to control, will apply. Concerning trade, a no-deal Brexit could create hurdles for cross-border sales between the UK and all the remaining EU-27, Spain included: if Britain crashes out without an agreement, it means the so-called ‘divorce bill’ of an estimated €44 billion, covering the UK’s contracted obligations to the bloc including pensions for British civil servants in the EU, will not be paid. Non-payment of its agreed dues to the EU means the UK is very unlikely to be considered a favourable or reliable trade partner.